Create a results driven approach to reduce the signs of aging and sun damage in the Neck and Décolleté. Restores a more youthful appearance. This product is for use at night only. Create a results driven approach to reduce the signs of aging and sun damage in the Neck and Décolleté. Restores a more youthful appearance. Contains Licorice & Kojic acid to reduce the appearance of hyperpigmentation. 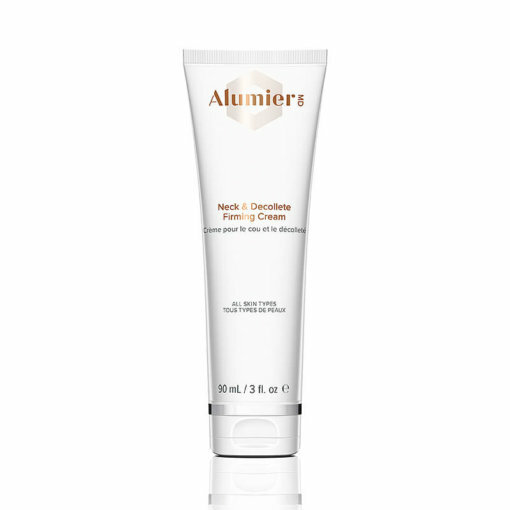 Contains gentle flower acids to exfoliate dead cells and enhance skin renewal. An amino acid and copper complex and low levels of encapsulated retinol firm, strengthen the skin and improve elasticity. Note: This product is for use at night only.